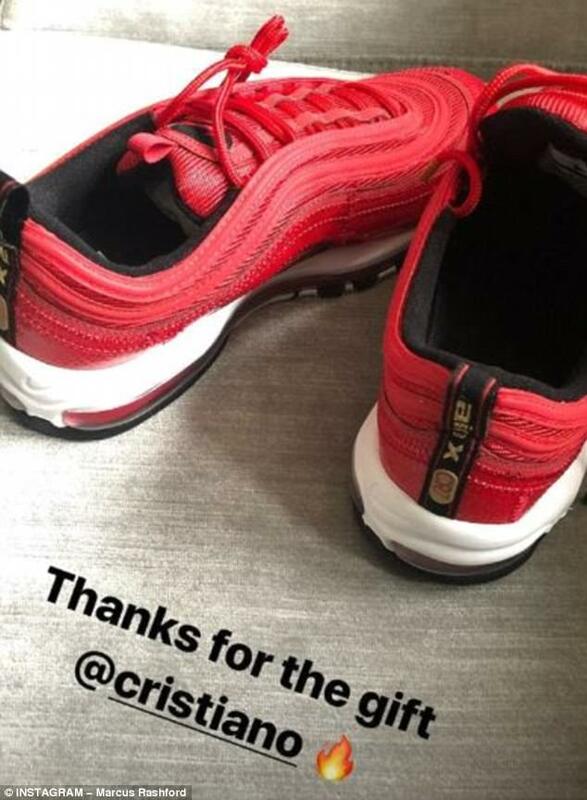 Manchester United striker Marcus Rashford showed off the generosity of Real Madrid star Cristiano Ronaldo as the Portuguese sent him a pair of red Nike Air Max 97 CR7 shoes. Former United star Ronaldo may not have been close with Rashford during his time at Old Trafford – the Wythenshawe forward would have been 11 at the time Ronaldo left for Madrid – but he was more than willing to sort out some new footwear. 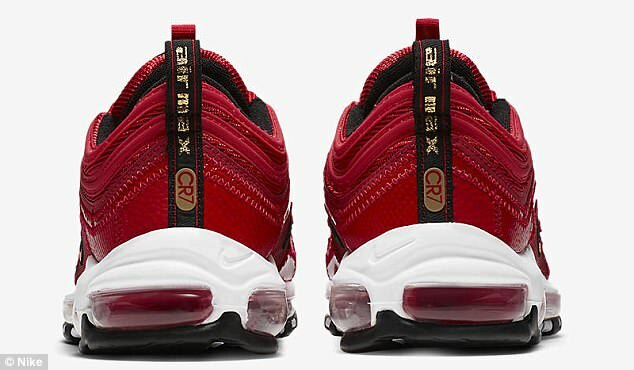 Ronaldo collaborated with Nike to produce the eye-catching £145 shoes that will no doubt catch the eye of United fans who want a pair for themselves. Known as the ‘Portugal Patchwork’ design, the trainers have been designed to pay homage to Ronaldo’s mother; she used to patch his shoes back together when he was younger as he would continually create holes in them. The trainers carry Ronaldo’s CR7 mark on the heel inside a golden sphere and it is no surprise the shoes rapidly sold out. 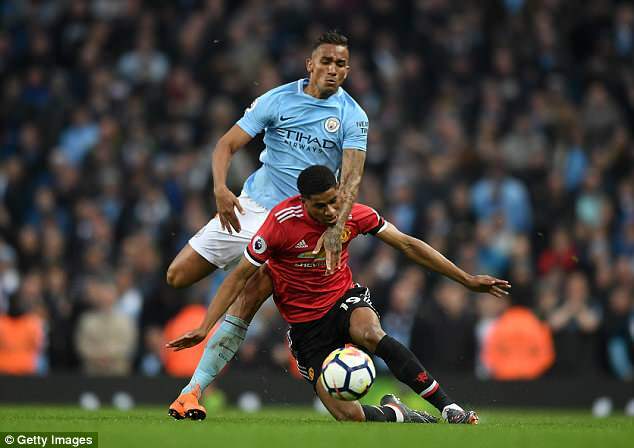 Rashford’s spirits will undoubtedly be high after playing the remaining few minutes of United’s impressive derby day comeback to halt City from winning the title on Saturday. Replacing January signing Alexis Sanchez, Rashford helped United hold on to their lead after goals from Paul Pogba and Chris Smalling completed the comeback win. Ronaldo, when not parceling up gifts for his friends within the game, is preparing for Real Madrid’s Champions League quarter-final second leg with Juventus on Wednesday. 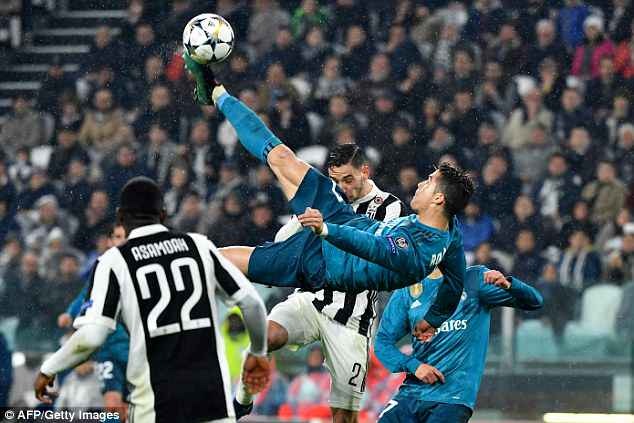 He dictated the first leg in Turin in a game that was marked by the Portuguese’s staggering overhead kick goal that put on Madrid foot into the semi-finals after the 3-0 win.